Summer is in full swing, and between family vacations and summer camps you might find your budget stretched a little thin for extra activities. But exploring science, math, engineering and technology doesn’t have to be put on hold, thanks to these fun and free (!) summer programs in the Seattle area. Google and Make have teamed up for an online camp to get kids 13-18 building, breaking, creating, going on virtual field trips, and more this summer. Maker Camp includes themes for each week of camp including games, science, design and more. For kids who don’t have access to the Internet or would like to team up to take part in the fun, local Maker Camp events can also be found at several Seattle locations. Every summer, Apple stores across the country offer free three-day workshops in technology for kids ages 8 to 12 to create their own movies, compose music and code their own robots. All Seattle-area camps for 2017 are full, but some stores offer waiting lists for registration, so try your luck on the Apple Camp web page. Microsoft Stores also offer free weekly in-store camps for kids 6 and up to learn about game design, movie making, coding and more. Registration for many of the camps are full, but be sure to check each session. There are a few camps that just opened for registration on June 26th. You’ll find all sorts of STEM fun on Saturday, July 29 at the Museum of History and Industry during their DIY Dog and Cat Toys Maker Day. In honor of MOHAI’s latest exhibit, It’s Raining Cats and Dogs, join exhibit partner PAWS in learning to make dog and cat toys using a variety of materials and crafting techniques. Visitors are encouraged to take their maker creations home to their loving pets, or kids can choose to donate them to an animal in need. The Seattle CoderDojo runs free coding programs for kids ages 8–18 year-round, with several opportunities this summer to get kids interested in programming. Seattle CoderDojo classes take place Saturdays, 10-noon. Events are free, but parents must register and get tickets for their mini-programmers ahead of time. Ticketing should go live 2-3 weeks before each class date. Lakewood Pierce County library also hosts a CoderDojo program for kids ages 12–18 on Mondays in July and August from 5:30–7:30 p.m. The Seattle Public Library is offering an incredible number of Blast off to Space! summer learning events through Sept. 5 for kids and teens at locations across Seattle. Check the calendar for free concerts, LEGO building challenges, catapult designing, labs and more, many with a STEM theme. Registration is required for some events in advance, so take a look at the events calendar for your local branch before heading out. And, of course, all events are offered at no cost. The KCLS summer program for teens, is just as exciting as their kids’ lineup. Not only are there some sensational STEM opportunities, such as building electronic gadgets and experimenting with 3-D pens, teens can also learn how to make their own music, experiment with the ancient technique of wet felting to make jewelry and learn how to create new malleable textiles from recycled plastic materials. The Pierce County Library is offering free Lego construction activities for kids ages 6 and under this summer. 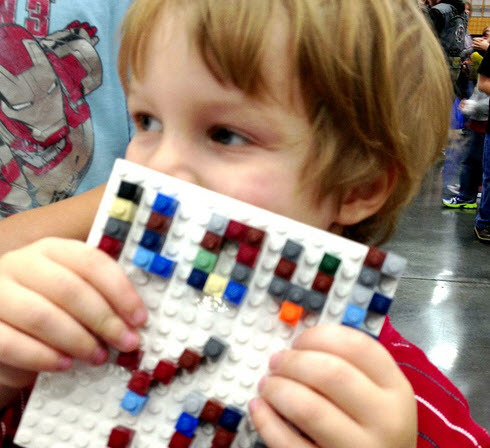 Kids can get their hands on the library’s Lego bricks in the Lego & Building Madness events, and 9-to-12-year-olds can engineer LEGO bricks with working motors at various locations across Pierce County. Building Drop-In using LEGO Bricks & Motors, Dates and locations vary. Visit website for details. Building Madness, Dates and locations vary. Visit website for details. The Pierce County Library is also offering a wide variety of events and activities this summer, many of which have a STEM focus. 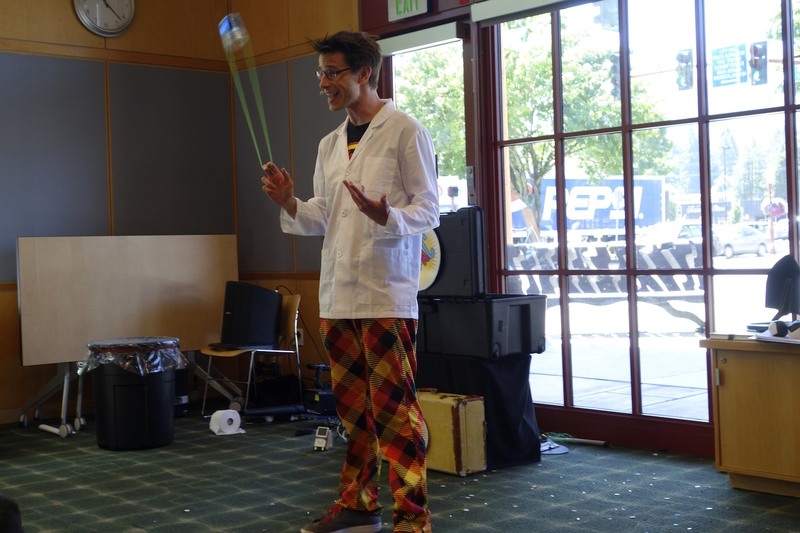 Kids who attend Pierce County Library events will have the chance to learn about (and meet!) animal architects from Point Defiance Zoo, become “earth heroes” by adventuring through an obstacle course, catch a classic puppet show and much more. Check your local branch for more times and details. Editor's note: This article was originally published in 2014, and updated for 2017. Kelly Knox is a freelance writer and content editor at GeekMom.com.